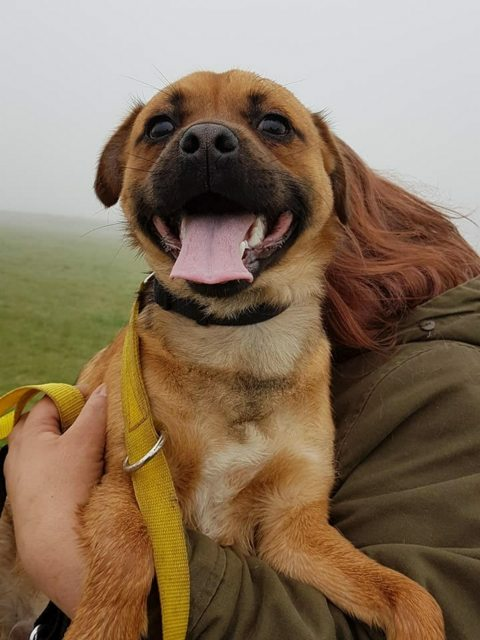 Riley is a ten month old Pug cross. Riley has been handed over to our care from a UK home due to the children’s asthma being exacerbated by him. To their credit he has been beautifully looked after and is a friendly, sociable and confident little dog who adores everyone on sight. Riley is fostered in Norwich (FR063). Riley adores children and has a wonderful time playing with other dogs. 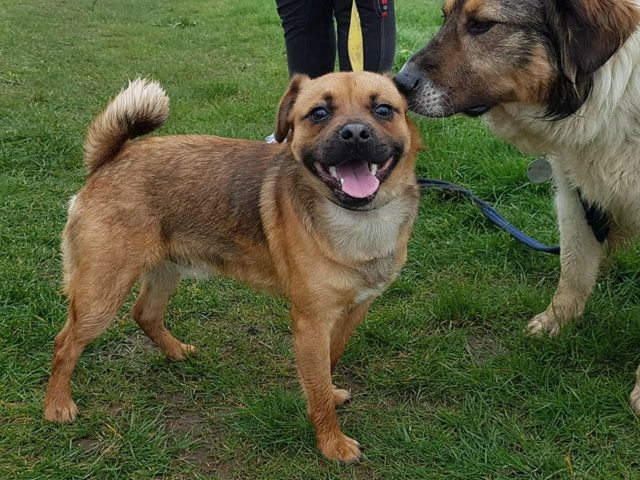 He would love to live with another young and playful dog but if not should be kept socialised with other dogs outside of the home. Riley is a young and active boy who will need someone at home for much of the day. We are anticipating a lot of interest in this boy so please bear with us whilst we process calls and inquiries.